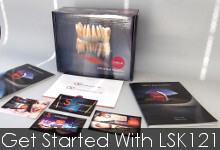 LSK121 Oral Prosthetics is a cosmetic dental laboratory that offers a wide range of cosmetic services. We play close attention to both aesthetics and durability. We routinely handle difficult and complex cases that require the most meticulous attention to detail. LSK121 Oral Prosthetics specializes in creating new smiles that shine and change lives with our cosmetic makeover services. Contact us today to begin planning out a new smile for your patients. Our vast array of material selections spans from traditional to innovative, and when combined with our state of the art laboratory we are able to provide the best possible cosmetic makeover solution possible for each case. 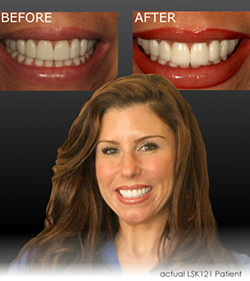 LSK121 technicians take great pride in our ability to fabricate life-like and natural-looking anterior restorations. Contact our professional and courteous staff today to discuss how our experienced team of technicians and advisers can assist you with your current anterior cases. Advancements in technology and materials offer new and exciting possibilities in the way dental restorations are made and how they look. Today, utilizing these advancements, we can fabricate all-ceramic crowns and bridges without the metal substructure found in traditional restorations. Commonly referred to as Monet Pure Zirconia™ restorations, the substructures are made with CAD/CAM milled zirconia, with porcelain ceramic layered over the top. LSK121 Hollywood Veneers™ are the most life-like of all cosmetic restorations, giving the clinician the choice of minimum or traditional preparation. The after prep color must be masked by blending multiple porcelain colors in order to provide for natural esthetics. Based on nature, our shape and contour design can be customized using the LSK121 Smile Guide. LSK121 Hollywood Veneers are razor-thin all-porcelain coverings that are bonded directly to the front surfaces of the teeth. No-Prep LSK Veneers™ can transform an appearance, giving the patient the beautiful natural-looking smile she has always wanted. Upon determining if minimal or no-prep veneers are right for a patient, the dentist can often complete the procedure in as little as two visits, a definite benefit to everyone involved! Our composites are carefully layered with ideal marginal fit, full polymerization and lifelike esthetics. Choose from our GC Gradia™ or Fiber Reinforced Indirect when prescribing composite restorations. 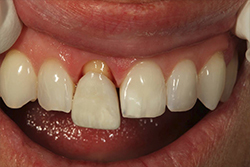 Either material can be used to create metal-free bridges, full crowns, inlays and onlays. LK Cream restorations remain the most widely used fixed oral prosthesis. We have a variety of metal choices, such as Yellow Noble Metal, High Noble (precious), Noble (semi-precious) or Base (non-precious). With the proper porcelain thickness, our world-class ceramists create distinct multi-layered ceramics producing incredibly life-like restorations. 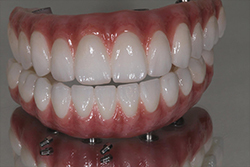 Our single central anterior prosthetics are masterfully crafted using the finest techniques, material and dental lab technology to seamlessly blend within surrounding adjacent teeth making them virtually indistinguishable from natural teeth.